One of several buildings in the Perez firm's proposed condo cluster is superimposed over a traditional Holy Cross structure. A building comparable to one in the Perez firm's proposed condo cluster is superimposed over a traditional Holy Cross structure. Editor’s note: Rebuilding New Orleans after Hurricane Katrina inspired reforms that reflected public disgust with the cronyism and outright corruption that had long pervaded relations between developers and city politicians. Voters demanded a Master Plan with the force of law backed by a Comprehensive Zoning Ordinance (CZO). The City Council recently accepted a draft of the CZO, the product of years of community meetings and professional guidance. Amid widespread criticism of that document, the council has agreed to accept additional public input and consider possible amendments before granting final approval. The column that follows is one in an occasional series in which Lens readers sound off about the CZO. In 2010 the Comprehensive Zoning Ordinance (CZO) process seemed off to a good start in the Lower 9th Ward’s Planning District 8. Community members had met with city Planning Commission staff to talk future land use projections. The 14-acre Holy Cross School tract was vacant and colored gray, indicating it was slated for “mixed use/medium density” zoning, once the specifics had been worked out. Planners said they would be back to the table when they had more. Two years later, planners returned to Holy Cross with the CZO draft. * Gray areas were now marked MU-1, allowing for the most intense mixed-use zoning possible. Sarah Debacher, president of the Holy Cross Neighborhood Association, rose immediately to object. Planners responded by saying, “Tell us what you want.” We did, following up with 70 letters asking that the MU-1 designation be removed. The main concern was the school property, riverfront land in an historic district. Residents fully expected the change they requested would be made promptly. Developer Perez APC meanwhile had been quietly drawing up plans that called for high-rise apartments on the site. When presented at the Holy Cross Neighborhood meeting, they drew audible gasps. Even with the neighborhood solid against it, Perez moved ahead anyway. Next stop for Perez was the Historic District Landmarks Commission. The commission’s Architectural Review Committee is charged with protecting a district’s “tout ensemble” but was comprised of developer architects who liked the “massing” Perez proposed. We objected but were hushed. We had no choice but to sue the commission to open committee meetings to the public. Perez wasn’t content to wait for the CZO process to complete itself. 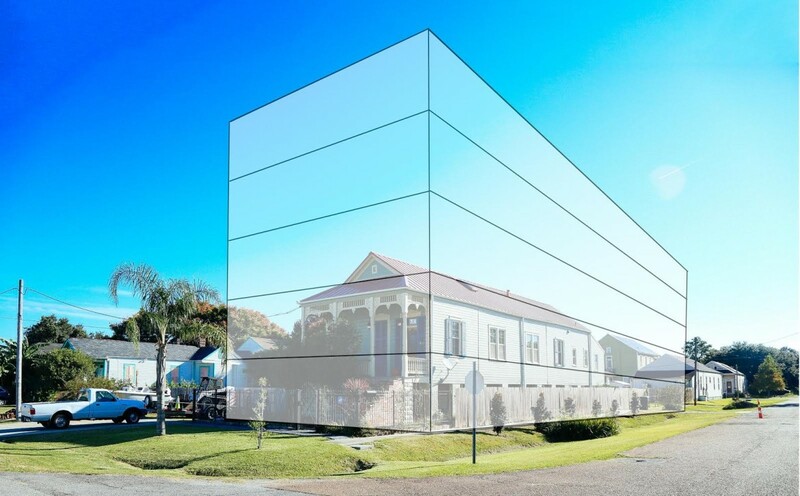 Instead, fearing the new MU-1 designation would be a while in coming, the developer applied to the City Planning Commission to change the pre-Katrina zoning from low-residential to high-commercial C-1A, to accommodate its high-rise vision. The maneuver worked like a charm for Perez. Ignoring months of official community comments, the planning commission staff issued a report supporting Perez, but with an overlay containing 18 provisos meant to bring the C-1A designation into line with MU-1 designation that was in prospect. Among the provisos: limiting building heights to 60 feet. This arbitrary choice to support a developer was being used like a crowbar to pry away the existing zoning without due process. Planners insisted the change was “consistent with the Master Plan,” the broad-brush blueprint for the city’s future that is mandated by the City Charter and was approved by the City Council and the Planning Commission in 2010. The Master Plan has the force of law and the CZO, which provides greater detail on zoning options, must fall within its parameters. To at least one planner, the fact that Perez had submitted its sketch for high-rises meant that the development of the Holy Cross School site was already a fait accompli. The staff was recommending intensified zoning “because it looked like the way things were going to go,” Stephen Kroll, a principal author of the commission’s report, said. It was certainly the way things were going without the community at the table. MU-1 was the most aggressive of 20 zones possible — at the time 14 levels more intense than the residential zoning that had been in place. This arbitrary choice to support a developer was being used like a crowbar to pry away the existing zoning without due process. Using the master plan as cover, the developers and their allies on the planning commission staff were trying to ram through an inappropriate project loudly opposed by the neighborhood association. To their credit, the full planning commission didn’t go for it, even with the city planning director’s assurance it was “consistent with the Master Plan.” The City Council didn’t either — until newly elected members were seated. On the reconstituted council’s first day in office — the last possible day for approval of the zoning change — the council reversed course and caved in. Seizing on a bogus announcement from the developer and Councilman James Gray that a “compromise with the neighborhood” had been reached, and ignoring strenuous objections from neighborhood members present in the chamber, council members approved the zoning change. It enabled oversized development in a quiet community of shotguns, doubles, cottages and steamboat gothic mansions that are considered some of the most important historic architecture in New Orleans. Many of us in the neighborhood felt completely betrayed by Gray. He had seemed to encourage us to develop our own vision for the site, only to ignore what we came up with. People now feel he is fronting for the developer rather than representing us, his constituents, and that he has blocked our efforts instead of helping us. Following the council vote, the Holy Cross Neighborhood Association sued again, arguing the zoning change was defective. This was not meant as a challenge to the council’s power but as a rejection of poor planning with potentially dire consequences. Not only would the zoning change destabilize the neighborhood and historic district, it stood to affect homeowners whose property was everything they had to pass down, this being a cherished, culturally diverse community where people have survived for generations by banding together in times of trouble and high water. It’s not that Holy Cross thinks of itself as Williamsburg or what the French Quarter is to purists. We have always been open to development of some kind and scale, but we have assumed we would be able to take part in the conversation about what that will be. We do not think our future should be determined by a private school that decided to cash in and move away, or by an ambitious developer, an arrogant planning staff, council members, or even an earnestly pro-development mayor. What neighborhood people want is a legitimate process through which we come together to review all aspects of a proposed development and make a truly informed community decision. What the neighborhood brings is long memory and knowledge of place, with an acute ability to gauge likely impacts. Redevelopment of the Holy Cross School site is a neighborhood preoccupation. Last fall, the community gathered for no fewer than five public forums organized by the L9 Vision Coalition with a grant from Tulane City Center. Two developers offered to buy out Perez, confident that they could come up with alternative development ideas the public would find palatable. Perez refused, agreeing only to trim the proposed condo complex to mid-rise heights that were still way above those allowed by the long-standing zoning designation. Responding to developmental pressures shaping the new CZO, historic downriver neighborhoods have joined to demand more public involvement in this process. The Riverfront Alliance now unites Holy Cross with Marigny, Bywater, Algiers, and the Quarter. What is zoned and overlaid here will deeply affect the look and feel of New Orleans for decades to come. Again we are being ignored. At recent hearings, neighborhoods asked in vain for the Planning Commission and then the City Council to send the CZO draft back to neighborhoods for more consideration. They wanted to avoid the mistakes of haste and too narrow discussion. We live in a democracy. Elected and appointed officials should not be fleeing the people they represent, particularly when broad discussion is needed. Citizens together have wisdom and a store of knowledge, especially when it comes to the place they call home. Public servants should seek this input before they scurry back to their offices and ivory towers. What happens without this input is alienation of the community and plans that are too conceptual, too lacking in nuance for real-world application — like proposing a dense condo cluster in an urban neighborhood famous for its small-town, almost rural, vibe. Consistency with the Master Plan is not in the tiny loops of circular reasoning that turn a draft into law without leaving the office. Consistency here can only truly be found in the very broad loop that brings citizens together and fully informs equally open and receptive public officials. We all have a role in this and cannot afford shortcuts. In Holy Cross we have all spent far too much time and energy over one parcel that has evaded public process and will never be right without it. The neighborhood had, to my knowledge, never asked for anything but a seat at the table as part of a fair and open planning process. The new CZO is called place-based, but places are full of people — “city-zens,” as we’ve taken to calling ourselves, who own, respect, take care of, watch over, plan for, protect, love, raise their families in and nurture the legacy of the place called New Orleans. Yes, Holy Cross is just one neighborhood, but neighborhoods in the aggregate are what make the city whole. City planners returning to Planning District 8 with their MU-1 zoning designation may not have known how passionately residents feel about the historic district and the importance put on community ownership in decision making. Community leaders had read the Master Plan, and knew right away that the MU-1 zoning at the river was not proper. MU-1 is for big buildings along major corridors. Locating such an intense zone five and six blocks into a residential cul de sac is simply atrocious planning. It would commit the city to extensive infrastructure expense, far outweighing payoffs. In effect the city would be subsidizing a dubiously zoned development at great cost. It would also be undermining a stable, long-established historic neighborhood without bothering to involve the real experts, the people who live there. At minimum, city officials need to revamp the final draft of the CZO to remove the MU-1 zoning designation from Holy Cross and other historic riverfront communities. In its place, put HU-RD2, the equivalent of the existing zoning, as requested by the Holy Cross Neighborhood Association or, at most, HU-MU, a historic mixed-use category. Ignoring the community that must live with their mistakes after the developer and the Planning Commission move on hurts people in their hearts. The fight to save Holy Cross has taken a lot of people’s energy and resources; the indifference of the powers that be seems hard to believe. And of course what happens in Holy Cross won’t stop there. A friend who has been paying close attention to the CZO process told me about an exchange she heard recently in a Bywater parking lot following a presentation of development plans for that neighborhood: “What do you need?” the planner asked the developer. “C-1A or MU-1, whichever is easier,” the developer replied. “No problem,” the planner said. The two wished themselves a good evening and headed for their cars. John Koeferl is a neighborhood leader and advocate in the Lower Ninth Ward. He serves on the Holy Cross Neighborhood Association Board and is a founding member of the L9 Vision Coalition. The Lens' donors and partners may be mentioned or have a stake in the stories we cover. Council voted 5-1 after impassioned comments from the community. The Lens aims to engage and empower the residents of New Orleans and the Gulf Coast. We provide the information and analysis necessary to advocate for more accountable and just governance.